Roses means something special to me. Also is my middle name. 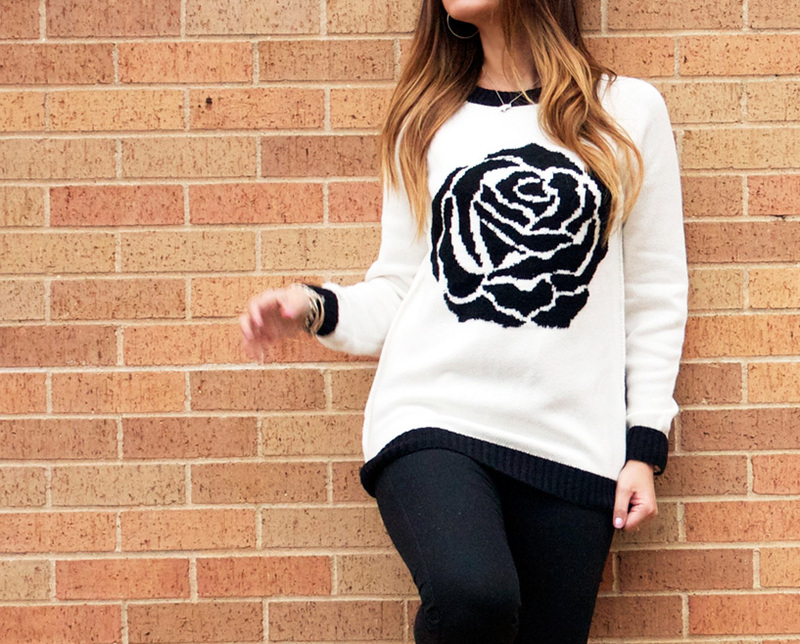 Black/white rose sweater, black casual jeans and red lipstick. Add some blue pumps to finish the statement. Love this graphic sweater find at Forever 21.